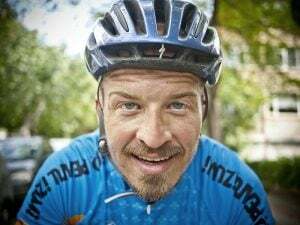 Proper cyclist knows where every road takes you. But if you want something more interesting, then you need to start looking for better trails and they are outside your riding range. If you are traveling, then you would need to use bike carriers to take your bike to new roads. In this article, I will talk about bike carriers. I shall discuss every possible bike carrier type in the market from ordinary roof carriers to vacuum based sea suckers. Hanging racks in which bikes just hang. They have different designs and hanging racks tend to be lighter. So it is easier to take off and install them. Also, they are less expensive. Some models, like Thule Helium Aero swing away and it allows you to access the rear of the car. Platform racks on the other hand, are more versatile and can hold easily any type of bike without adapters and they make it quicker to load bikes. 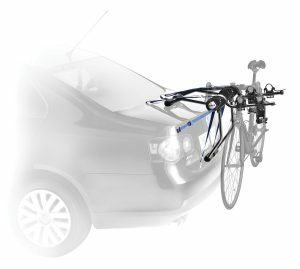 These kinds of car bike rack frames is also preferred by expensive, super-lightweight, bike owners because many models are designed to hold the bike because they don’t make any contact with the bike frame at all. Which one should I prefer? Well, it depends, I must admit that I do not have any expertise in this matter, therefore, I offer both to you. Advantages – it is easy to assemble (on/off). There is no need to lift bike high, it is easy to assemble. Disadvantages – everyone can touch your bike; you would need to buy a new bike even if your it crashes slightly; you would have to disassemble your bike first if you want to open your hitch; you would need a trailer hitch; it is suitable for only universal body-type with tow-bar hitch. The Thule T2 Pro is basically the only bike carrier in 2018 that fits for fatbikes also. It is a little bit more expensive, but if you get it around $400, then you have got the great offer. Security and quality should be preferable over anything. It can be reused with other cars without making any adjustments. Also Thule things have great selling value. It has 1 ¼ or 2 inch hitch receiver. It has a secure hook with an integrated cable lock which secures the bike without making any contact. It is foldable. When it is not in use. 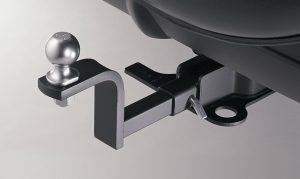 The hitch SwitchTM lever can be folded and stores platform, it can be tilted down as well to access rear part of the vehicle. It has, maximum strength – it has reinforced rust-free protection tray. It has adjustable straps for the wheel which secures backwheel quickly to tray. It can be fitted at 20”-29” on wheel diameter and up to 5” wide. Thule Helium Aero is one of the simplest hitch racks we tested. It takes just a few minutes from the box to get ready for bikes. It is truly tool-free and everything in it is assembled. It is ready to use as compared to the other hitch racks we tested, which came with Allen wrenches and multi-page instructions. The Helium Aero is way easy to secure in the hitch and it remains rock solid, even after driving on bumpy roads. It is heavier than other picks, but still worth every penny. The Helium Aeros biggest advantage is its adjustment. Which makes it fitting, as compared to the different kind of bikes, pretty easy. Also, it comes with adapters, for 1 ¼ or 2-inch hitch. After sliding the rack into the hitch just turn the knob on the rack to find the ideal fit. To achieve the perfect fit, just turn the knob few turns. Once you’ve secured it as tight as possible, make sure to use the locking mechanism to keep thieves from stealing the rack. We have never heard that someone stole it, but better be safe. A quick lift of a lever near the arms of the rack allows you to tip it forward and gives access to the rear of the vehicle, if it’s an SUV with a rear window then it can be opened separately. Ultra-Light: its aluminum gives half the weight of most hitch racks. Its original holds fast cradles with road dampening technology secure the bike to rack and absorbs the road shock. 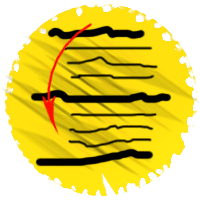 Its no-sway cages prevent its contact and absorb the road shock as well. It has Integrated Locking Cable and locking knob which locks the bike to carrier and carrier to the car. It has a sleek Aero-design which improves ground-clearance and increases the distance between bikes to offer maximum protection. 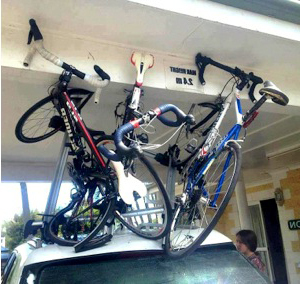 Bike car racks can be detached from the roof railing or from different ways to linings etc. I use roof racks with my saloon and there I have Thule bike carriers. If you plan to carry other things like cargo-box, kayak, snowboard or something like that, then a roof rack becomes essential. There is no need to take them off in any case. They can be used with every roof car body type. Once you have roof racks, you can use other carriers also like a canoe, skies, snowboard etc. you must lift your bike high. You need to have roof bars (parallel bars) suitable for your car. Accommodates also: Boats, skis, snowboards, paddle-boards, cargo boxes, surfboards. with the use of both, you get extra space for your salon. They do not make your saloon dirty. they can carry many bikes at once. Bikes get wet and dirty by using them. This Yakima ForkLift is for fork-fastening which means you must remove your front wheel in its presence. It is used for carbon frame bikes. Because carbon is extra strong and it doesn’t like smudges which make the structure weaker. So it is used mostly for fork assistance. This one is solid and eyes-closed assemble. One customer told that we trust this Yakima for his $5,5k road bike and $1.5k mountain bike. It has simple, tool-free installation and removal. Its streamlined tray is compatible with most disc brakes, and it keeps your bike frame untouched. This fits your round or square crossbars. If you have Aerobar or something, then you might want to change adapters. If you wish to lock it, the Yakima ForkLift requires two lock cores ($39, not included) one to secure the rack to the car, and one to lock the quick release lever securing your bike. The Yakima Viper is a great buy and it is good for security. And versatility with add-on parts you can purchase as funds permit. No need to mention – the price is outstanding. To prove its quality, it offers a limited lifetime warranty! 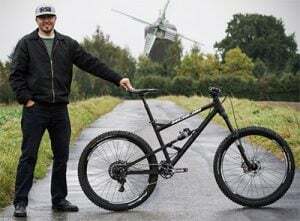 If you don’t have a carbon frame or you just don’t want to mess with front wheel with – front wheel off – front wheel on – front wheel off, then you have to pick a frame attachment. It basically uses the bike frame to attach the bike to the bike carrier. 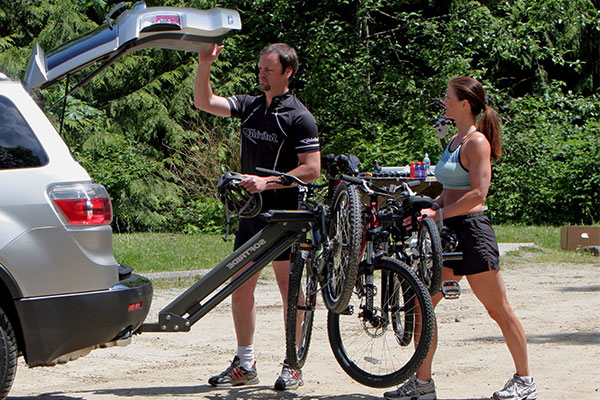 Yakima Raptor Aero is the best solution when you need a traditional bike carrier from frame. I personally have two roof carriers in use – one is the fork-fastening for my carbon MTB and other is for my girlfriend’s alloy frame MTB. The advantage of frame attachment is that you don’t need to put your (dirty) front wheel in the saloon. If you are afraid of scratching your bike, you can use some cloth between the frame and carrier. It’s mentioned on other bike rack reviews too. 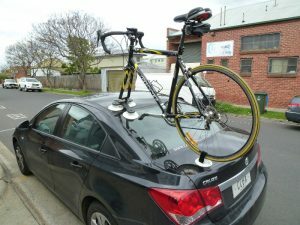 Let’s realize the truth – most of the cars don’t have either roof railing or hitch, which is important for bike carrying. A few years ago alternatives became popular. It saved lots of money for buying roof rack for bike carrier. The same thing goes for hitch bike carriers. New solutions like trunk racks make the bike transportation much cheaper and comfortable. 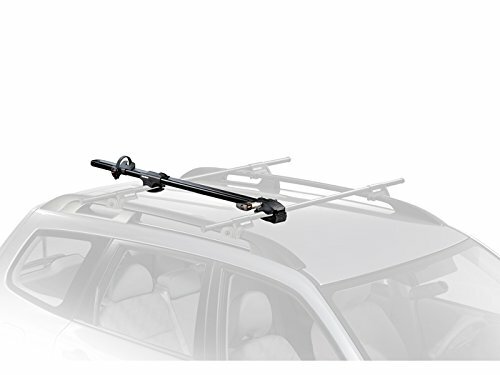 Trunk mount carriers don’t require a roof rack and are very easy to install. Fits for saloon and estate body types! The Thule Passage 910XT has soft rubber cradles which protect your bike frame while holding it securely. In the bike to bike and bike to vehicle contact, it work as stay-put anti-sway which prevents it from any contact. Its arms can be folded down when not in use. There are leg pads which protect trunk and hatch. It quickly secures the trunk and/or hatchback seams with straps just like other carriers in its class. What makes this Thule Passage 910XT Trunk Carrier special is its wing adjustment knob and Fit Dual combination with recommended numerical positions for specific cars. It means that the assembly is quite easy for everyone. 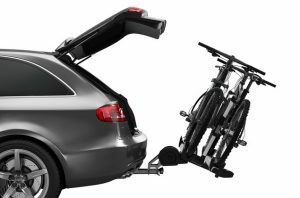 It can carry up to 2 bikes (on 2 bike model) or 3 bikes (3 bike model) on the hatchback or trunk of your car. No scratching – it has Soft rubber and cradles which protect your bike while holding it securely. It has a stable six-strap system which secures rack to vehicle. When I first saw it a few years ago, I was in awe and thought is it a bike on a Porsche?! Still, in 2018 it’s a superb idea! The thing is that if you don’t find suitable roof bars for your car or you need good alternatives for that, then there’s something for you also. It is called Sea Sucker and it can be attached for every body type. You can simply put it to your car and that’s it. Its disadvantage is that it is unsecure and can easily be stolen. It can be attached basically to every vehicle with three powerful, safe and easy-to-use vacuum mounts. It can be virtually attached to any vehicle with three powerful, safe and easy-to-use Sea Sucker vacuum mounts. The key technology is the high strength vacuum cup that Seasucker uses. There are alternatives also which are nearly unique but this piece is unique. The Seasucker cups are made of UV-resistant rubber which is suitable to comform the curves in the roof of a car. 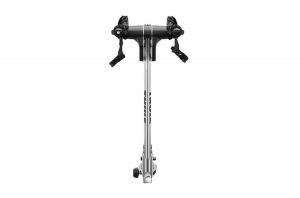 Actually, I didn’t know about the Thule 963 Pro Spare Me 2 earlier and that’s quite interesting. I read the reviews and yes, I can recommend it. 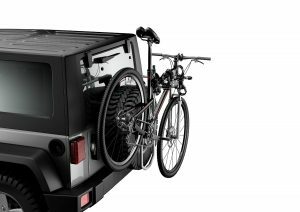 It is probably the best bike carrier for SUVs. These have the spare tire and they are high. I can say that it’s a nightmare to put a bike on tall car’s roof. So, it’s a pretty brilliant golden way for SUVs. It carries up to 2 bikes. It can be attached to any spare tire with heavy duty mounting plate. It fits any spare tire size. It has locking knob for protection against the theft. Its hitch receiver and roof racks can be left for other purpose as well. Thule One Key is compatible for it. So as you can see it’s a pretty versatile sleeky design system for SUVs. If you’re having a SUV and you have a spare tire, then don’t even bother yourself with other types. If you don’t have a spare tire or you don’t trust this type for some reason, then I’ll suggest you to use the hitch type. They also provide 2 different sized brackets with additional thread extenders for the main support bolt. EXTRA SECURITY: There are 2 locks included in it one which secures it from the cars and othe which secures bikes to rack. You can get the double safety. For a truck, it is possible to use hitch trailers also but there are alternatives also. I’ve personally never used it but this one seems to be the best. Truck bed should be the place to store your items, so pick the right bike rack for pick-up. Also, it offers protection from rear collisions. 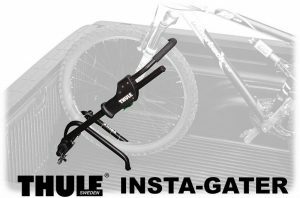 The best truck bed bike carrier is Thule 501 Insta-Gater! It is quick to install in pick up bed, its installation does not require any drilling or bolting, wheel removal or frame contact. It can carry up to 50lbs bikes. It fits Wheels from 20-29″ and up to 3″ wide tires. Truck’s tailgate-bed gap should not be greater than half inch. Up to 3 Insta-Gaters can be used on tailgates with 51″ or greater length in it. Always keep the extra key. Don’t forget them while you’re in a journey. Don’t forgot your bikes when carrying bikes! Keep the keys on a secure place in a car. Don’t over-tight any knobs. Everything should not be tightened too softly or too tightly. While using for the first time after installing, check your bikes after 2-3 miles, then after 20-30 miles and then after every 200-300 miles. It is important because I’ve seen that bikes vibrate and also carriers need to re-secure tightly. Not all bikes fit perfectly on every trunk or hitch rack (on the cradles they use). It is quite rare, but on occasion, some particularly women’s and kids’ bikes do not fit perfectly. Try to change the directions because there are some dead angles which can play a role. In a way, you’ll need to lower the saddle or take it off. On trunk and hitch rack, it is a good idea to secure the tires of two bikes with a strap or bungee cord just to prevent sway-induced bumping. Using a towel or cloth around contact-prone frame section is another good precaution. While choosing bike racks for tandem or some other strange sized bike, roof racks will do the job the best. 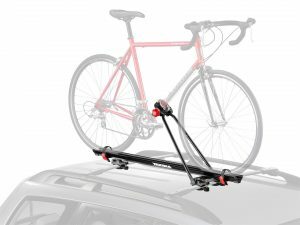 Roof Racks: In general, most of the people feet that the roof models are well designed but the fact is that they need to lift their bike to roof which is a disadvantage. 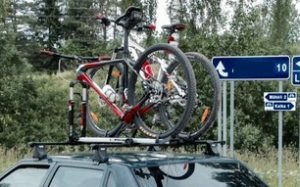 Even a small passenger vehicle with roof racks fitted require that bicycles should be lifted higher as compare to the trunk or hitch racks. For shorter people or women, it might be a problem to lift the bike to roof. Also, the taller the vehicle, the more pronounced this problem gets. Hitch racks have the advantage of being lower to the ground and therefore they are easier to load/unload. There are some differences kept by manufacturer about the height. Some need more adjustment due to its frame clamps retention system. All of the trunk racks have a relatively low loading height, but they can be difficult to load due to two arm frame clamp design which is used by all of them. If your bike has horizontal top tube with normal size, then you can load your bike fairly easy. But if your bicycle frame has full-suspension or exotic size, then positioning can be difficult. All trunk models require stabilizing straps. They need to be threaded through the frame and back around the rack itself to prevent them from swaying. 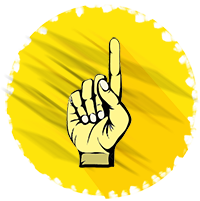 This increases the loading and unloading time. Attaching the bike to sea sucker is quite easy, but that’s the only thing that you need to wash the surface before usage. Just place the first sea sucker to your roof, attach the bike to it afterwards attach the rear one. Tired of cycling? Try surfing! It is definitely the best type for SUVs. Like mentioned above, the loading height is crucial, especially for shorter women. Therefore using Spare Tire bike racks is quite comfortable for everyone. With the use of the truck bed bike racks you can secure them just like leaving your bike in front of the house. No lifting or something would be requires. Only thing you need to do is to lift it to pick up bed and secure it there. There is nothing special and it is quite ergonomic. So we have mentioned almost everything about bike carriers. I hope it would help you to choose from the wide range of different bike racks. Now all you need to do is to pick the most suitable type for you and exploit your boundaries everywhere. It is elementary for me to have my bike carrier fitted all the time and anywhere I go away from town, I’ll take my bike with me.